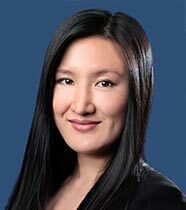 Ms. Xu is a research analyst responsible for the credit analysis of leveraged loans, high yield bonds, and other credit-based securities for the Credit Investment team. She has 8 years of experience investing across the capital structure. Prior to joining DFG, she worked at Perry Capital as a buy-side equity and credit analyst covering a wide range of industries. She was responsible for performing due diligence and making investment decisions under multiple strategies, including M&A, event-driven and deep value situations. Ms. Xu received a B.S. in Economics from New York University in 2007.